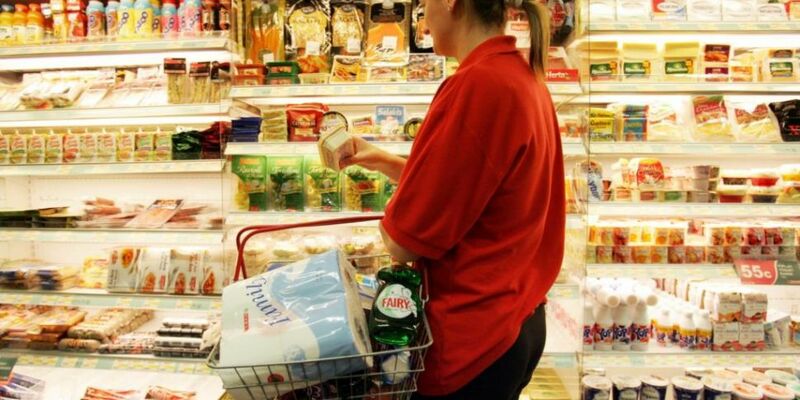 New figures have shown a strong start to 2019 for the grocery market, with year-on-year sales growth of 3.4%. However, the average household spent €120 less on groceries during the four weeks to January 27th compared to December. Kantar Worldpanel says shoppers were also less likely to reach for more expensive branded and premium products - with sales falling 28% and 31%. And while dry January seemed to have whet the appetite of some, more than one-third of Irish households bought either beer, cider or wine last month. Wine proved to be the most popular: 25% of shoppers took home at least one bottle during the past four weeks. We also got healther after the Chitsmas indulgence, as sales of fruit and vegetables were up €7m year-on-year. Vegetable side dishes and vegetarian sausages and burgers collectively rose by 35% and, amid the rising popularity of 'Veganuary', sales of plant-based milks were 40% higher than in January 2018. Aldi and Lidl continued to gain market share - and more than 70% of Irish households shopped at both during the past 12 weeks. Aldi increased its sales by 10% and Lidl by 5.2%. Dunnes was the only other retailer to gain market share this period, attracting enough new shoppers to boost its sales by 4%. Despite the number of Tesco and SuperValu customers both remaining flat, the retailers increased sales by 1.5% and 1.3% respectively. 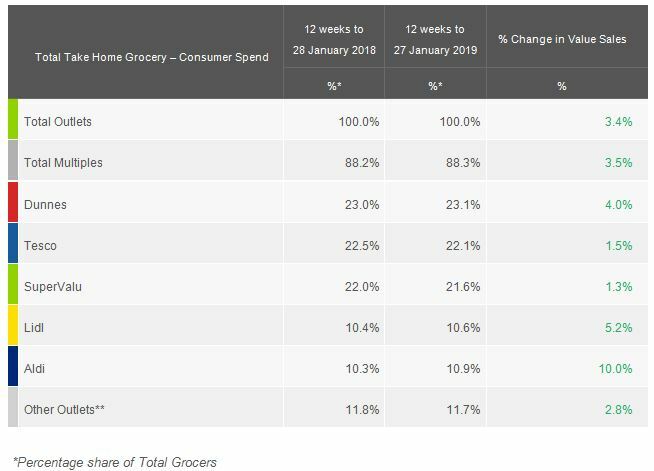 Douglas Faughnan, consumer insight director at Kantar Worldpanel, said: "Aldi and Lidl have demonstrated their popularity at two distinctly different times of year - December and January - by providing shoppers with opportunities to both indulge and save. "Both retailers achieved record market share over Christmas and that strong performance has continued into the New Year". "Dunnes continues to engender loyalty among its existing shoppers with its strong premium own label and branded ranges. "Crucially, the retailer has won over new shoppers as well, welcoming an extra 20,000 households through its doors compared with last year."